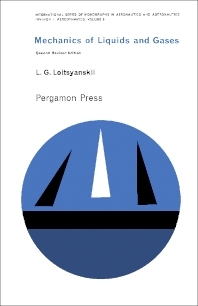 Mechanics of Liquids and Gases, Second Edition is a 10-chapter text that covers significant revisions concerning the dynamics of an ideal gas, a viscous liquid and a viscous gas. After an expanded introduction to the fundamental properties and methods of the mechanics of fluids, this edition goes on dealing with the kinetics and general questions of dynamics. The next chapters describe the one-dimensional pipe flow of a gas with friction, the elementary theory of the shock tube; Riemann's theory of the wave propagation of finite intensity, and the theory of plane subsonic and supersonic flows. Other chapters consider the elements of the theory of three-dimensional subsonic and supersonic flows past bodies; the fluctuating laminar flow in a uniform pipe of circular cross-section; the hydrodynamic theory of lubrication; the variational principle of Helmholtz; and the theory of plane and axisymmetric laminar jets. The remaining chapters look into the semi-empirical theories of turbulence and their application in the analysis of axisymmetric jets, with and without swirl, and in the calculation of the resistance of rough plates. These chapters also discuss the dynamics of a viscous gas and the elements of the theory of laminar and turbulent boundary layers at high speeds. This book will be of value to mechanical engineers, physicists, and researchers.